Here you will find some of the high risk investment options to invest and grow money. These investments are suitable for those persons, who can take good enough risk to yield best possible returns. As these instruments can provide you maximum returns so, there is also no surety even of your invested amount and you may lose all your investment. Stock Market: This is the only option where you can grow your money at the highest rate. The amount of returns you want is only up to you, there is no hard and fast rule in the stock market. If you want to earn 10% returns on your invested money within a year, you may invest in some shares by keeping those returns in mind, and if you want to get these many returns in a month's time, you can invest in such stocks and equities which have potential to give you such returns in a month or even in a week. So, why not everyone invests in stock market and become rich, this is the question many people ask before investing in stock market. But, there is no hard and fast rule, that you will get such high returns in a month's time, similarly there is no guarantee of your money, you may lose 10% or 50% or sometimes even complete amount of money with in that time frame. You must need to know when you should sell-off your shares in order to take profit from the market or in order to minimize your losses. When you see the losses, your heart-beats may rise or skip and this is the reason not everyone invests money in stock market. Stock market trading is only for those who can bear high risk. If you can not bear much risk, you should not enter in direct equity market just to lose your hard earned money, better you invest in other moderate risk options, which are comparatively less risky and can give you decent returns. But still if you want to enter in stock market, first analyze your risk taking capacity and then only put the amount that you can easily bear in case you lose your money. Some one has perfectly said 'High Risk High Returns', the HRHR Rule of stock market. If you can take more risk, then only you can get more returns, otherwise you have other options to invest in safe instruments where generally you do not lose your money. Before investing your money in stock market, you must invest some time to do enough research to understand the basics of trading and some of the basic terms that are used in stock market. You may do some virtual trading or offline trading for few days using some software or any website that offers offline or virtual trading to help you understand the basics of stock market trading. So, whenever you feel some confidence that you can invest in stock market, then only enter in to the world of stock market and earn in millions. Happy Trading! Forex Trading: This option is also a high-risk investment option. 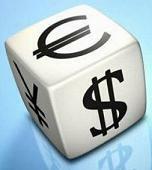 In Forex-trading, you trade in different currencies of the world. This investment option may not be available to the residents of all countries. In some countries, their government does not allow retail investors to trade in foreign exchanges. Forex trading is a risky option as currency value of any country can change every second in terms of other country's currency value. In this, you need to make several currency pairs and trade in pairs against the value of another currency. Value of currencies can change at any time by effect of local or global news, or with the trading relationships with another country. To do Forex trading successfully, you should make two or three currency pairs, and then you need to do a lot of research on those countries economic data. You need to find out what is happening in these countries, are they having some tie-up processes going on with some other country, how is the political situation in each country and several other facts, which can change and affect the value of that currency. If you do not have much idea of Forex trading, better you do some good amount of research, take advice from the experts, find out the feasibility to trade in Foreign Exchange in your country, then only put your feet and hard-earned money in to Forex Trading. Check out the below links to find out other investment options that are less risky than these options. Download free tools and calculators to manage your savings and investments. These tools will help you manage your investments better and to calculate actual maturity amount.